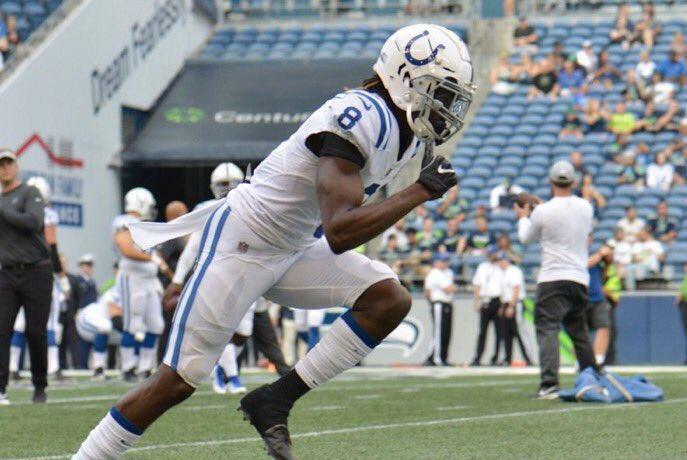 Rookie wide receiver Deon Cain of the Indianapolis Colts will miss the 2018 season because of a torn ACL sustained during Thursday night's preseason opener against the Seattle Seahawks. Colts head coach Frank Reich made the announcement on Friday afternoon. [post_ads]The 6-foot-2, 202-pound Cain was a sixth-round pick (185th overall) by the Colts out of Clemson and was expected to make a contribution this season after impressing during training camp. The 22-year-old Cain, whose draft stock slipped because of off-the-field issues, was injured after making the first catch of his initial professional game. Cain was suspended by Clemson for the 2015 Orange Bowl and the 2016 College Football Playoff National Championship Game for failing a drug test. In the 2016-17 season, Cain returned and played in all 15 games, including Clemson's National Championship victory over Alabama. Cain passed up his senior season to enter the NFL Draft and in three seasons at Clemson caught 130 passes for 2,040 yards and 20 touchdowns. Last season, he had 58 receptions for 734 yards and six scores.